It’s no secret that San Francisco’s craft beer scene is one of the best in the country, and thanks to our friends at the San Francisco Brewers Guild, it’s about to get even better. 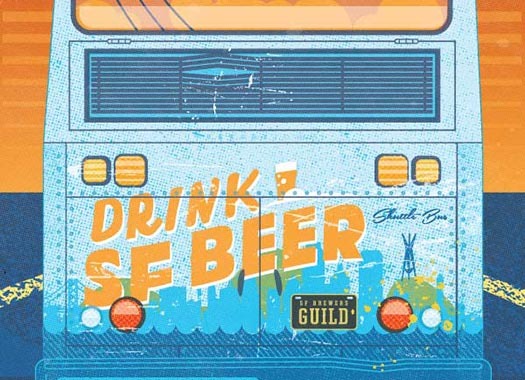 The Guild is introducing the “Drink SF Beer Shuttle,” which will make evening runs between SF breweries as part of their “Meet the Brewers” nights, and we’re pumped to have the Anchor Beer Garden at The Yard at Mission Rock as one of the stops. On Wednesday, December 16, the inaugural run begins at 21st Amendment and will hit 8 different breweries throughout the evening. Simply hop on and hop off at any of the stops on the schedule. 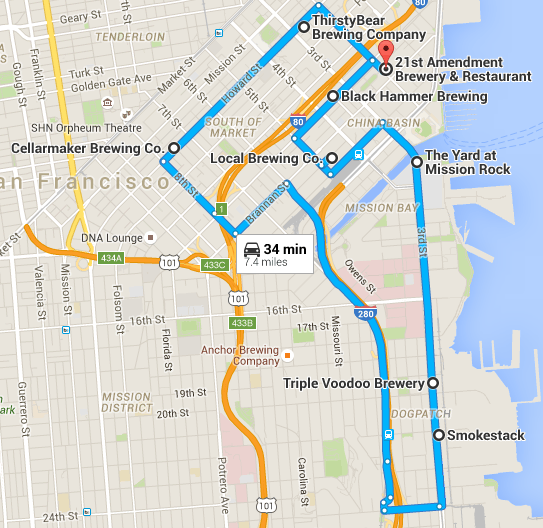 Shuttles are FREE, making it easy to check out the breweries of San Francisco without having to worry about transportation or parking. Get complete route details and times at drinksfbeer.com. Look for more Drink SF Beer shuttles starting this spring. 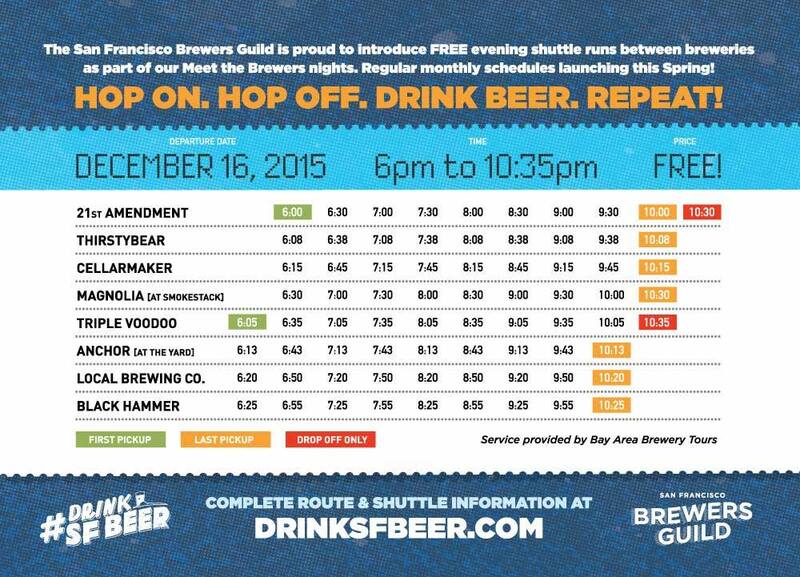 In the meantime, check out the schedule below, and Drink SF Beer!